Have you ever reached for one thing and used another without realizing it? 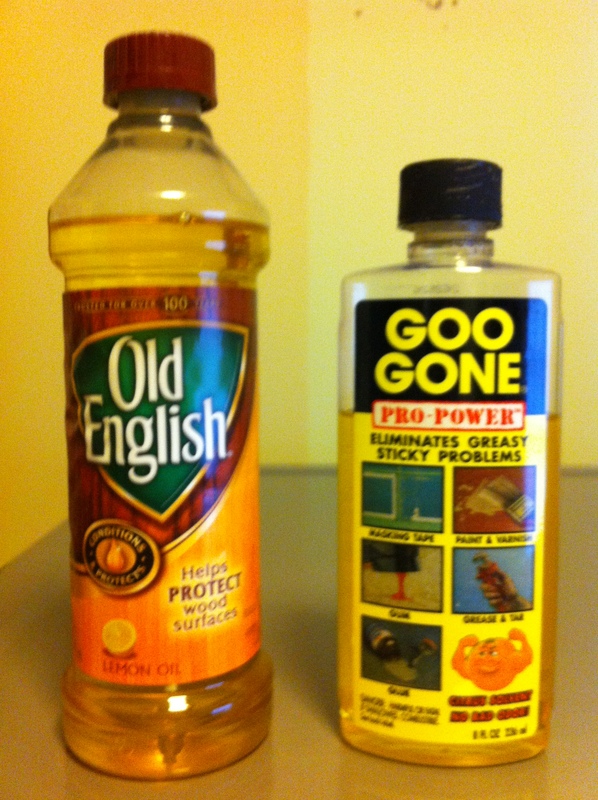 Well, a few months ago I came across a book that I wanted to use Goo Gone on to remove some sticky stuff. I cleaned it thoroughly, but noticed a greasy residue. I really didn’t think much about it. I wiped it off with a paper towel and went on about my day. I even used it again later for a dvd cover. A few days later one of the kids asked for the Goo Gone and I directed them to where I normally put it on the laundry room shelf. They informed me that it wasn’t there, which I thought was incredulous considering I’d just used it a few days prior! They said the only bottle that was there was the Old English! It dawned on me at that moment that I’d been using the Old English (which, incidentally, did the trick in both instances that I applied it! Good to know in a pinch!). I had moved the Goo Gone under the kitchen sink for some strange reason and it was out of sight. I had the biggest laugh over my goof! It was funny because I was just sure I was using the correct product and really funny because I’m a very detailed individual and usually notice when I pick up the wrong bottle! Hey, both are yellow in color and citrus scented, in my defense! Haha! Funny how one letter can make all the difference in the world, folks! And I was wearing my reading glasses! No excuses. Tired eyes maybe? Haha! Ah, sometimes I amaze myself! But, you’ve never done anything like that, have you? 😉 Life is funny! Ya gotta laugh at yourself sometimes!